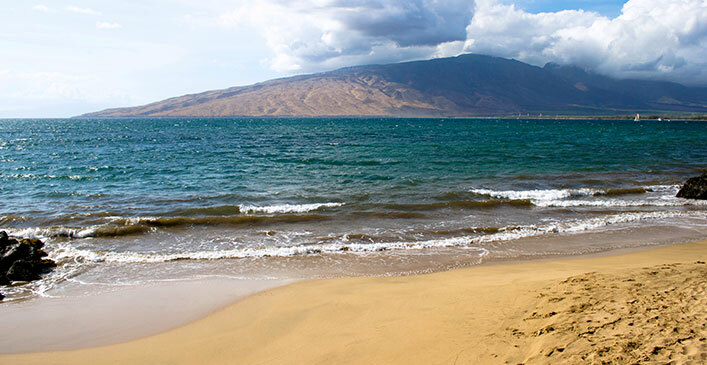 With 18 miles of powder white beaches, this breathtaking island is the most secluded and romantic of Hawaii’s islands. Visiting this island can make you feel as though you have traveled back in time. There are no paved roads or stop lights, making it feel deeply relaxed and laid back. Spending the day on Hulope Bay snorkeling and swimming will evoke feelings of excitement as colorful fish swim past in this marine conservation area. Going on a whale watching cruise is also a great way to connect with your spouse. Watching the whales jump through the ocean during their migrant time is ideal during the month of February because between January and April, whales arrive to the warm waters of Hawaii to mate. If you’d like to get active and immerse yourselves in Hawaiian legend, take a hike up Sweetheart Rock and learn the story of two lovers who tragically spend eternity together after the maiden Pehe drowns. Her lover Makakehau cannot bare life without her, carries her body to the top of Sweetheart Rock to bury her, then plunges to his death off this cliff to be with her forever. The stunning views from atop this cliff and the undying love story that accompanies this location is a must visit for Valentine’s Day.